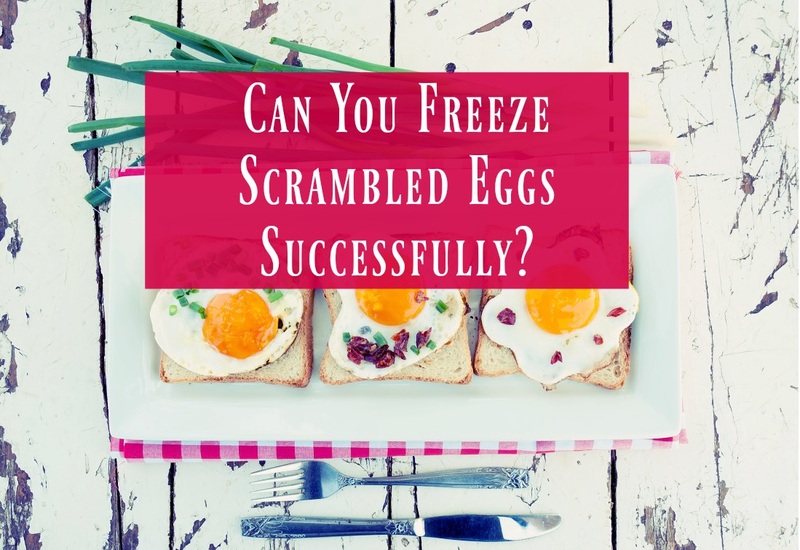 Home » Blog » Can You Freeze Scrambled Eggs Successfully? Have you ever accidentally made way too many scrambled eggs to eat in one sitting? Do you ever wish you could easily grab a pre-made, frozen meal for breakfast each day? If you ever find yourself in these situations, it can be helpful to know whether or not you can freeze eggs after scrambling them. Keep reading to find out everything you need to know about freezing scrambled eggs. It is possible to freeze a scrambled egg without having a significantly negative impact on its taste or texture. In fact, scrambled eggs freeze much better than fried, poached, or boiled eggs. Scrambled eggs are such a great option for freezing because the white of an egg has a tendency to get very rubbery when it freezes. Since the white is mixed in with the yolk in a scrambled egg, there is not a plain lump of egg white that can end up with an altered texture. Are Frozen Scrambled Eggs Safe to Eat? Frozen eggs are typically safe to eat, but there are a few rare situations that may cause some health concerns. Keep in mind that you may run into some problems if your eggs are improperly cooked and contaminated with salmonella or other bacteria. Any harmful microorganisms that were in your eggs before freezing may survive and still be alive once you thaw the eggs. To ensure that your frozen scrambled eggs are safe to eat, you will need to make sure that they are thoroughly cooked. Another issue with frozen scrambled eggs is that they will only be safe to eat if your freezer remains at adequately low temperatures the entire time. If your power goes out or your fridge breaks, the eggs will not be safe to eat after they refreeze. Eggs that sit at a warm but not hot temperature for too long can end up growing a dangerous level of bacteria! How Long Are Frozen Scrambled Eggs Good For? Once your eggs are frozen, you might wonder how long you can keep them in the fridge for. This will depend a little bit on both your personal tastes and how you chose to freeze the eggs. Eggs are essentially safe to eat for up to one year after being frozen, but they might not taste as good as you want them too if you wait too long to eat them. Frozen eggs can still taste as good as the day you scrambled them as long as you eat them within three to six months of freezing. Keep in mind that your freezing method will affect the length of time that the scrambled eggs will still be good. Eggs that were frozen improperly will get freezer burn. This sets in if there is excess air around the eggs, and it causes the eggs to oxidize and dehydrate. The texture of your frozen eggs may also be impaired if there is excess moisture from steam in the bag with them. This can cause ice crystals to form throughout the eggs. How Do You Heat Eggs Up After Freezing? Most of the challenges associated with freezing scrambled eggs come from the difficulty of warming them up. If you warm them up the wrong way, you can end up with a lump of eggs that is dry and burnt in some places and still cold in others. The key to getting your eggs evenly warm without overcooking them is thawing the eggs. To thaw your frozen eggs, take them out of the freezer and leave them in the fridge for about eight hours. Since eggs are typically a breakfast food, you can put them in the fridge to thaw overnight, and then you can have eggs in the morning. If you want to thaw them a little quicker, you can place them in cold water for roughly an hour. Water helps to quickly thaw the eggs without letting their temperature get dangerously warm. Once you are ready to heat your eggs up, you have a few different options available. The frying pan is the traditional instrument for making scrambled eggs in the first place, and it works equally well for when you want to warm your eggs back up. 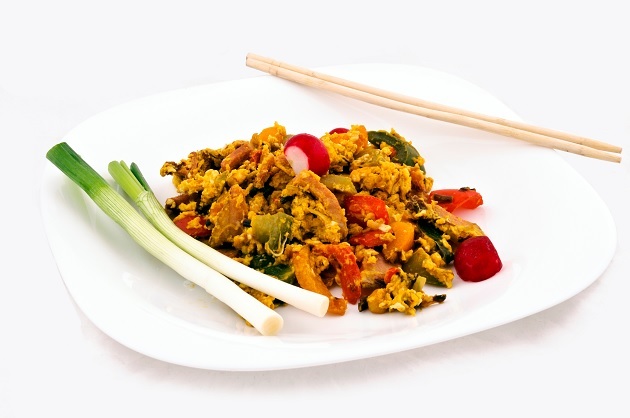 All you need to do to heat up frozen scrambled eggs in a frying pan is dump the thawed eggs into a pan over medium heat. Then you just have to use a spatula to gently stir the eggs around until they are warm. You can normally heat up your scrambled eggs in just a few minutes. This method normally works best on scrambled eggs that were still moist when frozen. It can be done for an individual portion, but most people do not bother with it unless they are trying to reheat a large batch of scrambled eggs. To warm your eggs in the oven, preheat the oven to 350 degrees Fahrenheit. Spread the eggs in a baking dish and bake for 15 to 20 minutes. Stir the eggs occasionally to ensure they reheat evenly. A nice big batch of oven reheated scrambled eggs is convenient and fast when you are trying to feed a crowd at a brunch. When you are in a hurry, the microwave is definitely the best option for warming up your eggs. A typical portion of eggs will warm up to a nice temperature after just two minutes in the microwave. The microwave is useful because it can quickly heat up eggs without dirtying a pan or baking tray. Another benefit of using the microwave to reheat your eggs is that your eggs do not need to be thawed to use this method. You can microwave on a lower setting for a couple minutes, stir the eggs to distribute heat, and continue microwaving until warm. This allows you to have tasty scrambled eggs ready to eat just minutes after removing them from the fridge. For the best possible results, follow this method whenever you want to freeze your eggs. 1. Crack your desired amount of eggs into a large bowl and lightly beat. 3. Whisk in one tablespoon of milk per egg if desired. 4. Heat a tablespoon or two of butter or oil in a nonstick pan. Use medium high heat for lighter, fluffier eggs, or use low heat for silkier, denser eggs. 5. Pour eggs into the middle of the pan and use a spatula to gently stir and scramble the eggs. 6. Remove the eggs from the pan while they are still slightly underdone to ensure the eggs will not overcook when you heat them up later. 7. Divide the eggs into portions if you want to unfreeze batches individually. 8. Let eggs cool completely. 9. Place each portion in a freezer bag, pushing out any extra air. 10. Write the date on the bag and place in the freezer. You can mix some cooked breakfast sausage, chopped vegetables, or cheese in with your eggs before freezing them to create a complete meal. Another fun option is wrapping up the scrambled eggs in individual flour tortillas before freezing. This makes a tasty scrambled egg breakfast burrito that you can easily warm up whenever you want a quick breakfast.